Here at Blacknight we take hosting very seriously, whether you’re looking for hosting for a small blog or looking for an enterprise grade cloud solution. Over the past year we’ve upgraded our help desk system and integrated our forums into it. We’ve won awards for our Sales channel on twitter and we’re continuing to grow our sales and support teams in order to offer you the best service we can. 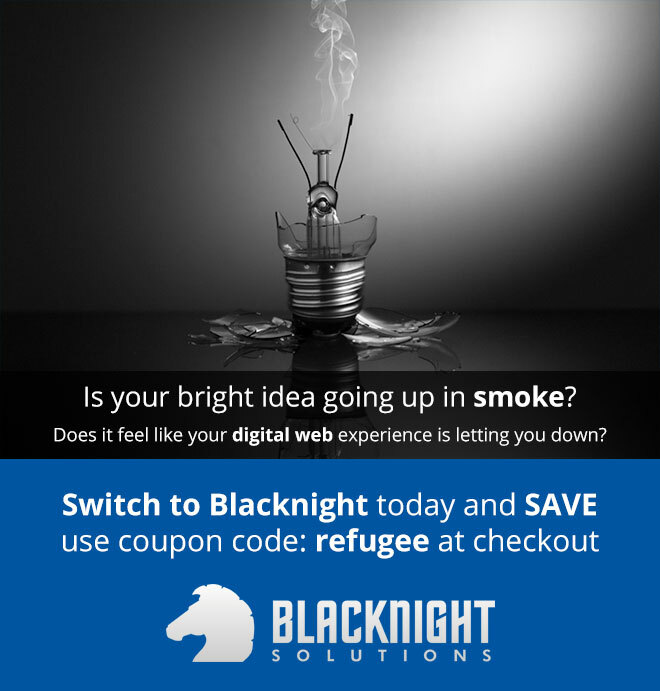 If you’re looking to switch hosting provider at the moment you can use the coupon code “refugee” at checkout and you’ll be in for a nice surprise. Looking to transfer your domain to us? You can find details on our main site. Worried about uptime? We’ve a Dedicated Status Site when you can check out server status and any issues that may be affecting any of the 1000s of servers we control. Looking to start your latest great project? Check out our Domain Offers site for some great promotions and discounts.